I had the pleasure of meeting Cliff Winnig in 1997 at the Clarion Science Fiction and Fantasy Writers Workshop. Cliff writes science fiction, fantasy, and steampunk. His short stories appear in a number of anthologies, including When the Hero Comes Home 2, Gears and Levers 3, Retro Spec, Footprints, and the forthcoming World Jumping. The twitterzines Outshine and Thaumatrope have published his very short stories. Though he's made his home in the East, the South, and the Midwest, he's now a Californian. He lives in the San Francisco Bay Area with his wife Debby and their two children. When not writing, Cliff sings, plays sitar, does social dance, and studies tai chi and aikido. The Writers’ Lens is about "Bringing fiction into focus." What brings your writing into focus -- the characters, the stories, the love of words? All three, really. A good story takes readers away from themselves and their world and moves them into fictional lives in a fictional world, using words to create the portal between the real and the imaginary. Writing's an interesting art form in that you can see the code -- letters, words, punctuation -- that comprise the work, but when you get caught up in it, your focus changes to the thoughts and feelings the words bring forth in your mind. It's like looking at a pointillist painting close up, then stepping away and watching the picture emerge. You're aware of the components, but the illusion of form takes over. If the story and characters seem real enough, the focus stays with them. But in reality, they're never more than the words that comprise them. When I'm writing or editing a draft, I'm aware of all these elements. At some points in the process, I may focus on one of them, but in the end they all have to work together. How do you find time to write and do a demanding job? It's tough. 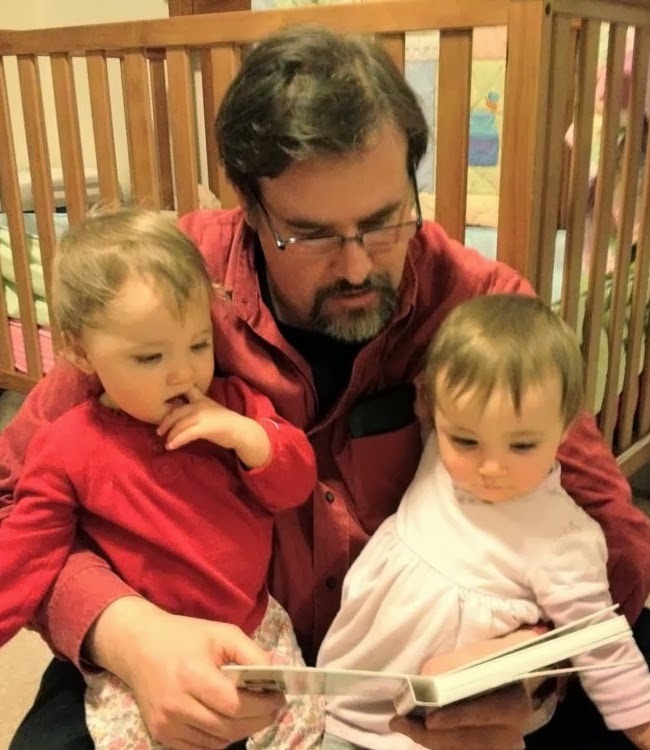 I work full-time in Silicon Valley, and my wife and I have small children. That's why I'm concentrating on short stories right now, rather than trying to tackle a novel. I write mostly after the kids are in bed, even on the weekends. With shorter works, I can really polish the stories I want to tell, yet still have time to be the dad I want to be. What's your favorite way to interact with fans/readers? I love readings: both giving and attending them. There's something primal about storytelling, hearing stories told out loud. It's one of the oldest human art forms, and it's a good part of how we build our views of the world, how we convey the ideas that really matter. I have theater experience, so I draw on that when I do readings. I really enjoy it if I can do Q&A and/or meet folks afterwards too. What inspired your latest work? 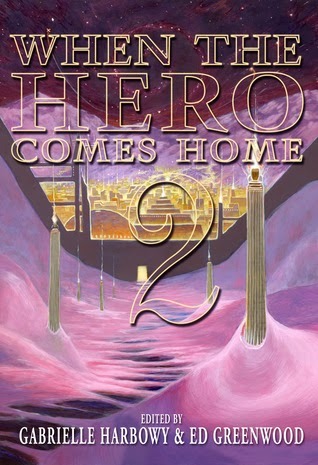 My newest story appears in When the Hero Comes Home 2 (Gabrielle Harbowy and Ed Greenwood, eds. ), an anthology that takes as its theme the hero's return from the big battle/quest/whatever and the unexpected things that crop up with such homecomings. Many of my stories appear in themed anthologies, because the themes spark ideas that lead me to characters and worlds, and the desire to explore both. In this case, the theme prompted me to ask: what if the hero and the person the hero comes home to are one and the same? In the resulting story -- "The Call of the Sky" -- the stay-at-home narrator and the returned-from-space hero are clones. Furthermore, they're capable of synchronizing their memories, something they do whenever they happen to meet. Only this time the injuries suffered by the hero clone prevent that, so our narrator has to try to understand her clone's experience -- and the importance of that experience for everyone back on Earth -- through mere words. Even within the story, the important ideas come through storytelling. 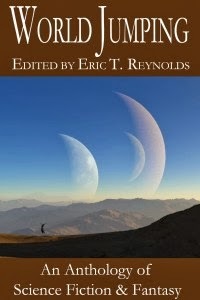 I also have a flash-fiction piece coming out this December in the anthology World Jumping (Eric T. Reynolds, ed.). Like several other stories in the book (though not all of them), it draws its inspiration from the digital painting reproduced on the cover, which shows a woman dancing or leaping in an empty landscape. The crescent shapes of huge moons or sister planets dominate the sky above her. I asked myself who she was and if what she was doing really was what it seemed. I wondered what wasn't in the painting because it lay behind the viewer or took place a moment before or after the scene depicted. That's what led to the story. Unlike a painting, where the viewer sees the whole thing at once and might notice this or that detail with time, a story flows linearly and explores all the senses within that flow. I could add movement, a sense of touch, sound, and so forth. The painting drew me into an alien world. My story explored it. What makes your book/characters unique? No one else could write my stories, because no one else has traveled my path. 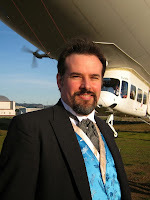 I bring my lifetime of experience, including a background in math, software, martial arts, music, and anthropology. In my science fiction, I draw as much as possible on actual science, and in my imaginary societies, I draw on what I learned from anthropology and ethnomusicology. My SF tends to include concepts from computer science and characters from a variety of ethnicities and cultural backgrounds. In addition to being a writer, you're a musician. What's the relationship between writing and music? In early human cultures, storytelling around the fire combined words and music. Only much later did humanity distinguish among prose, poetry, and song, and even now the lines often blur. That said, the written word is quite different from music in that the former creates an object outside of time, experienced by a reader at the reader's own pace, whereas music is immediate, present, and (ideally) an event where the musician and listener are in the same time and place. Nonetheless, both are collaborative art forms: readers bring themselves to the book or story, using the words to create the imaginary universe, and listeners bring their movements and any sounds they make -- dancing, singing along, clapping, etc. -- to a concert experience. So while writing and music have different characteristics, they grew from a common set of roots, and their branches intertwine. I'm very pleased to be part of this series. I've enjoyed the opportunity to focus on aspects of reading and writing that are often subconscious. When the Hero Comes Home 2 is currently on sale in both Kindle (https://www.getonic.com/Store/71888/1574) and ePub (https://www.getonic.com/Store/71887/3435) formats. It's also available in paperback (http://www.amazon.com/When-Hero-Comes-Gabrielle-Harbowy/dp/1897492715).